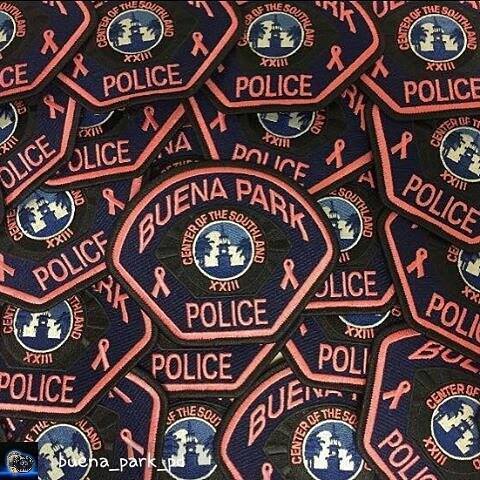 The Buena Park Police Department and the Buena Park Police Association have proudly joined the Pink Patch Project! The Pink Patch Project is a collaborative effort of various law enforcement agencies to assist in combatting breast cancer. This campaign raises money for research, treatment and education needed to help find a cure for breast cancer. 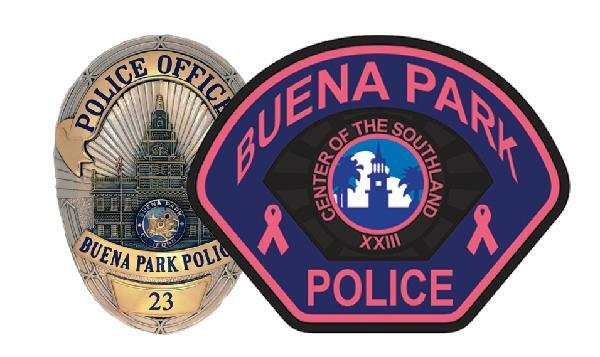 Under the leadership of Police Officer, David Pantoja, our agency has partnered with St. Jude's Breast Cancer Center, and 100% of the proceeds raised from our Pink Patch sales will be donated to St. Jude's. Their breast center performs over 30,000 mammograms annually and will be utilizing the proceeds to procure the latest state-of-the-art technology to assist in early detection, effective treatment, and further enable their doctors to deliver the best care possible right here in our own community. Checks should be made payable to the Buena Park Police Association.